You don't need to spend hundreds at the spa every month to take good care of your skin. This four-pack of face masks works to nourish, heal, soften, and rejuvenate your skin with every use. 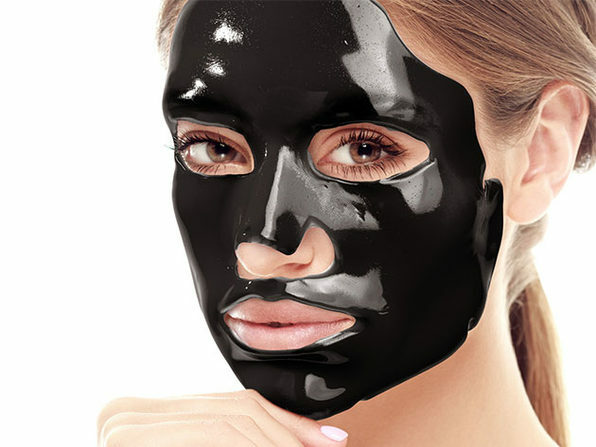 Each mask offers different benefits so you can use them one after another for a complete treatment — or simply apply the one that fits your needs in the moment. Either way, your skin will be feeling better than ever. Dr. Lift® Kiwi Fruit Masque is super-packed with antioxidants to help boost skin’s immunity against free radicals and environmental stressors. Kiwi helps rejuvenate and firm the skin while Vitamin E works to ward off signs of aging. This skin-boosting masque provides the strength and protection needed for a healthy and radiant glow. 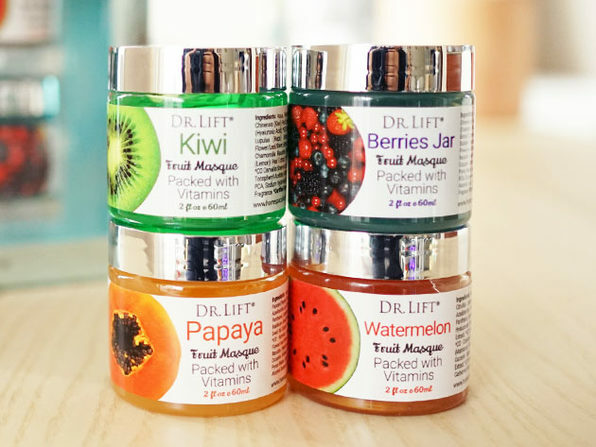 Dr. Lift® Watermelon Fruit Masque works to tone, hydrate, and balance the skin. Rich with Vitamins C, and B6, Watermelon is a super-fruit that helps diminish signs of aging and combat free radical damage. Known for its brightening and lifting benefits, Vitamin C is the extra boost skin needs to look and feel healthy and hydrated. Dr. Lift® Papaya Fruit Masque is bursting with essential nutrients to keep skin hydrated, smooth, and radiant. Papaya enzymes work to gently exfoliate dead cells while Coconut Milk and Moringa Oil deeply nourish and softens the skin. 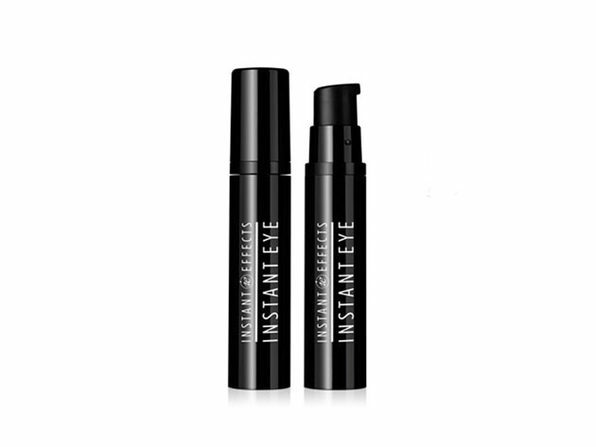 Like a tropical getaway, this nourishing formulation relaxes, rejuvenates, and helps smooth fine lines and wrinkles for a flawless glow. 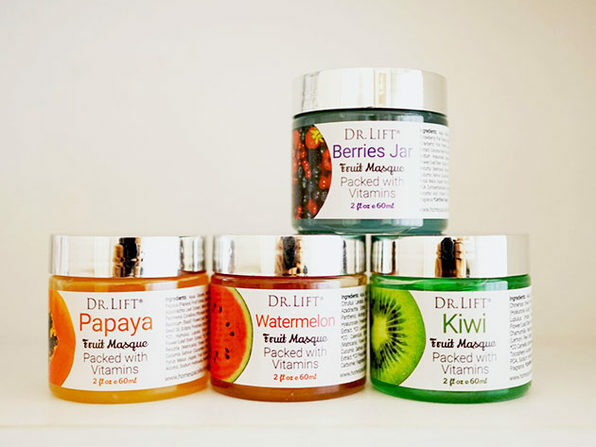 Dr. Lift® Berries Jar Fruit Masque Strawberry Extract, Raspberry Seed Oil, and Juniper Oil are a perfect, fruity antioxidant cocktail for your skin. Enriched with essential nutrients, this masque helps to balance skin pH, exfoliate, and refine skin's appearance. This masque combines with Certified Organic Extracts and Vitamins A, C, and E for a more youthful, vibrant complexion.